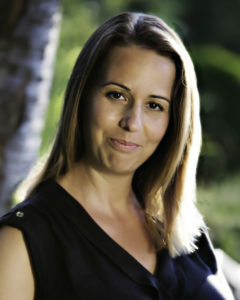 Dr. Zybutz was born in Durban, South Africa and was raised in Vancouver . 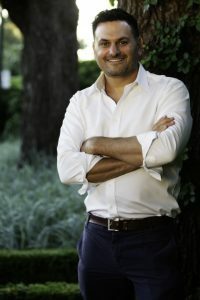 In 1995, he acquired his Bachelor of Arts in Psychology at the University of Calgary, then attended Palmer College of Chiropractic in Davenport, Iowa and graduated in 1999. Dr. Zybutz then practiced chiropractic in London, England from 1999-2000, before returning to Vancouver to open his own clinic. Since August 2001, Life Integrative has been an integral part of the Dunbar community. Dr. Zybutz has spoken to national corporations regarding chiropractic care and its benefits and has also provided educational talks to workplaces regarding preventative measures to ensure good spinal health. He has also spearheaded a campaign to form an association geared towards making chiropractic play a larger role in wellness and prevention. Dr. Zybutz was Elected Director of the Lower Mainland for the British Columbia College of Chiropractors in 2003 and continues to serve today. With more than 20 years of chiropractic experience, Dr. Zybutz has shown his wide array of patients that any lifestyle can benefit from his expert care and knowledge, whether it is from chiropractic adjustments, spinal decompression therapy, or shockwave therapy. Charlotte was born and raised in Vancouver and has also lived on the Sunshine Coast where she owned her own spa for 8 years before moving back to Vancouver. After moving back to Vancouver, Charlotte became a Registered Massage Therapist in order to help a wider range of people. Charlotte then went on to complete a 3200-hour Registered Massage Therapy Diploma program from Langara College, adding to her previous certifications in reflexology, Reiki, Thai massage, cranial-sacral therapy, visceral manipulation, and myofascial release. With 15 years of bodywork and massage experience, Charlotte’s skills have benefitted her patients by improving posture, reducing stress, increasing circulation, flexibility and mobility, reducing muscle tension and pain and much more. Her background in weight training and yoga also aids in her ability to prescribe at-home exercises to suit your needs. Charlotte provides her patients with effective treatment with lasting results. Her passion for healing and holistic knowledge of the human body ensures that she always gives her patients what they need and that they always come out with a better understanding of their own body. Dr. Bastien’s lifelong love for medicine and his passion for helping others led him to become a naturopathic doctor in order to heal people of their physical ailments and to help them achieve their goals. In December 2016, Dr. Bastien graduated from The Boucher Institute of Naturopathic Medicine, with the added honour of being class valedictorian. Since then, Dr. Bastien has worked to aid patients with chronic pain, chronic disease, hormonal imbalance, weight loss, and healthy aging. 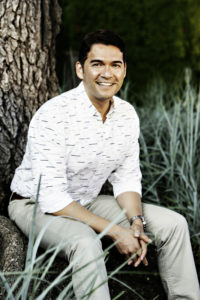 Using nutritional and lifestyle counselling, supplementation, botanical medicine, acupuncture, physical manipulation, intravenous support, peri-neural & prolotherapy, in conjunction with his prescriptive authority, Dr. Bastien’s goal is to create treatment plans that use the best possible therapies and tools to address each patient’s unique concerns and goals.